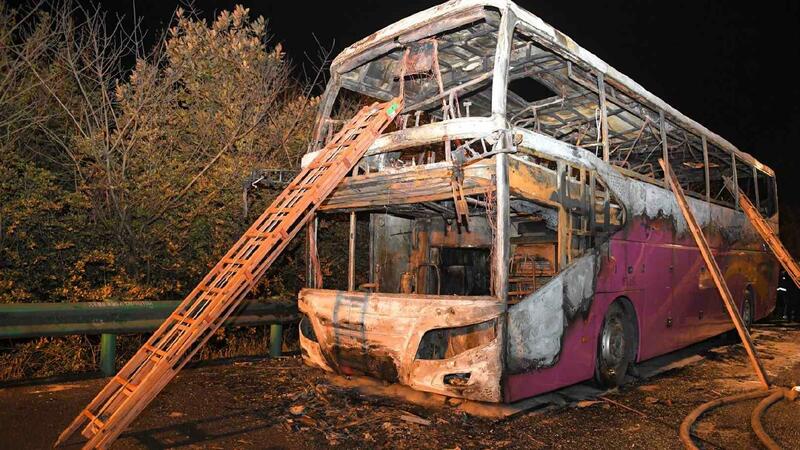 BEJING, March 23 (CGTN) -- Twenty-six people were killed and 28 others wounded, five critically, after a tour bus caught fire Friday night on an expressway in Changde City, central China's Hunan Province, according to local authorities. The accident occurred at around 7:15 p.m. local time on the Changsha-Changde Expressway with a total of 56 passengers on board. All the injured have been taken to hospitals nearby for treatment. Two drivers are custody and the probe into the cause of the incident is underway.